Unabomber Decoded: Did Harvard Study Fuel Rage? The Unabomber's reign of terror spanned 17 years. But few people know the killer, Ted Kaczynski, participated in a controversial psychological experiment as a teenager. CBS station KVOR in Sacramento spoke to the author who helped uncover this dark secret. And, for the first time, retired ATF agent, Nina Delgadillo, is talking about the manhunt. "We had hundreds, literally hundreds of suspects," says Delgadillo. ""Within my first year on the job I went to my first fatal bombing and that happened to be the bombing at RenTech Computer Rental." In 1985, Hugh Scrutton of Sacramento was the first of the Unabomber's victims to die from his injuries. "It was nevertheless impactful because someone had died. Little did I know what was to lie ahead." Delgadillo was thrust into the case that would span 17 years of her career. She followed the Unabomber's trail of destruction, and Ted Kaczynski left very few clues behind. "We did interviews ranging from people that had a BMW and potentially had information, because we had some sightings of somebody that had a BMW that had driven away," she says. After several more bombings across the country, a package was delivered to the California Forestry Association in Sacramento in 1995. Gilbert Murray had opened the package addressed to his predecessor. "I feel for not only him and his family but everybody that was there at the scene," says Delgadillo, "Just total mayhem. I mean, there was a lot of destruction. and, um, it was a difficult scene to process for a lot of reasons. I had seen bomb scenes and so forth, but . . . not like that." Many Americans were scared, frightened to open their mail in fear that they would be the next target. 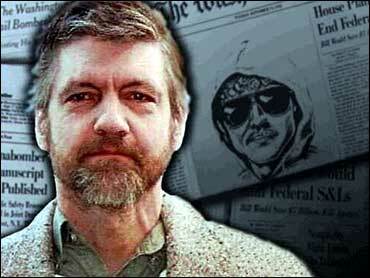 What many don't know is what the killer, Ted Kaczynski, experienced long before he ever started building bombs. A brilliant student, Kaczynski moved up in school and was accepted to Harvard University at 16-years-old. At 17, author Alston Chase says Kaczynski signed up for a psychological experiment lead by Dr. Henry Murray. "He goes to Harvard," says Chase, "and his disappointments begin." Murray was well known by the CIA and worked with the OSS during World War II training spies to withstand intense interrogations. "He (Murray) went back to Harvard and got a series of grants," says Chase, "You could say that he was simply continuing on what he had done for the OSS.... at Harvard." Chase says each student was brought into a room with bright lights… seated in a chair facing a one-way mirror. They had electrodes attached to their body, and the person they were supposed to debate turned out not to be an undergraduate. Each student in the study was also given a code name. Chase says Kaczynski's was "Lawful." When "Lawful" became lawless, Kaczynski didn't just send bombs to people who helped forward technology. "He included psychologists… as people who were the enemy," says Chase. I wrote Kaczynski a letter asking about his Philosophy. Kaczynski wrote back, saying his book Technological Slavery will probably answer your questions. The book left me with more. Kaczynski writes that in 1962 he became hostile towards technology. That's the same year the Murray study ended. When I wrote back asking about that I didn't hear from him again. Retired FBI special agent and behavioral expert, Kathleen Puckett, is one of the few to read nearly all 40,000 pages of Kaczynski's writings confiscated from his Montana cabin when he was arrested in 1996. She says Kaczynski's biggest problem was that he could never connect with people, and often wrote about wanting a relationship with a woman. "The Harvard Study has frankly been very exaggerated in my view," says Puckett. "Kaczynski wrote that he was a social cripple, that his parents had destroyed his life by moving him two grades, how lonely he felt and how angry he was that he couldn't relate to people the way he wanted to. In 1998, Kaczynski pleaded guilty, escaping the death penalty and was sentenced to life in prison. Delgadillo says after all this time, she finds it sad to see a man like Kaczynski use his intelligence to destroy life instead of helping it. "He's a very smart man," says Delgadillo, "that could have used his intelligence... to create a mathematical formula... that could solve something huge. If he could have bridled his drive into something positive versus something negative, how amazing would that have been. For three months, CBS 13 asked Harvard to look at the Murray study documents and tape recordings of Kaczynski since the world now knows his code name was "Lawful." Harvard said it was working on it, but we have not received access yet.